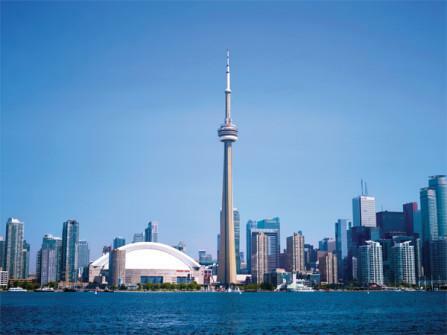 CN Tower is located in the downtown, Canada. It is 553 meters high and this city is must visit place. The tower was built between 1972 and 1976 and was once the tallest tower. The tower has a 360 rotating restaurant with delicious dining. The ones who dine there have complimentary access to the glass floor of the tower. Visitors experience a great view of the tower. On a clear day, a visitor can see from Niagara Falls to New York from the tower. 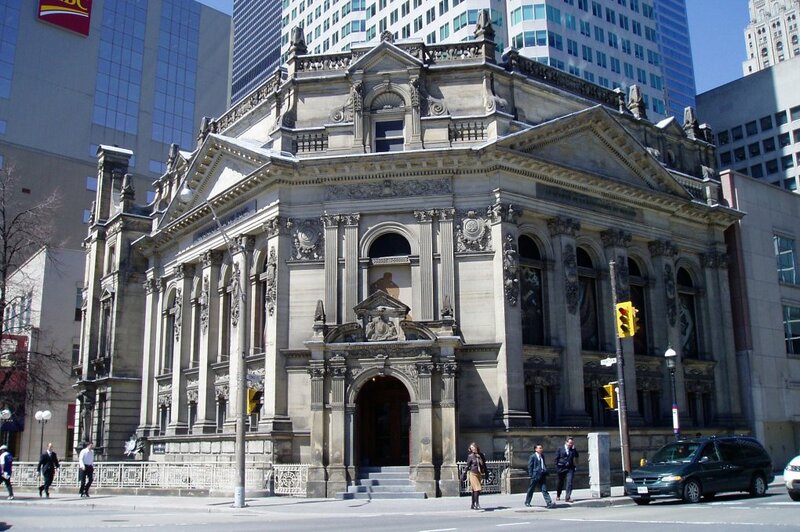 The Hockey Hall of Fame Museum is located in Bay Wellington, Canada is a great tourist attraction in Toronto. The museum pays tribute to the sport, which is well connected with Canada, ice hockey. It is also a Hall Of Fame which honors the hockey players, both male and female, who have played through the years. It is spread in an area of 60,000 sq feet. If you are an ice hockey fan, it’s a must visit. 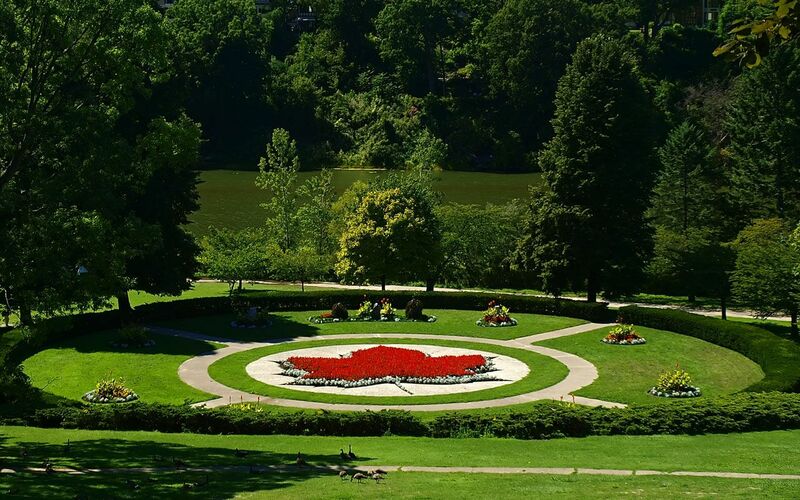 Canada Wonderland is a theme park located in northward Toronto and is spread over 330 acres. The park contains a 20 acres water park which is known as Splash Works. It was established May 23, 1981, by Paramount Parks and was known as Paramount Canada’s Wonderland. In 2006 Cedar Fair purchased the park and named the park as Canada’s Wonderland. It has around 3 Million visitors per annum. With a total of 69 rides in which 16 are roller coasters, Canada’s Wonderland is ranked 3rd in the world in having the highest numbers of the roller coaster. It works from May to September. 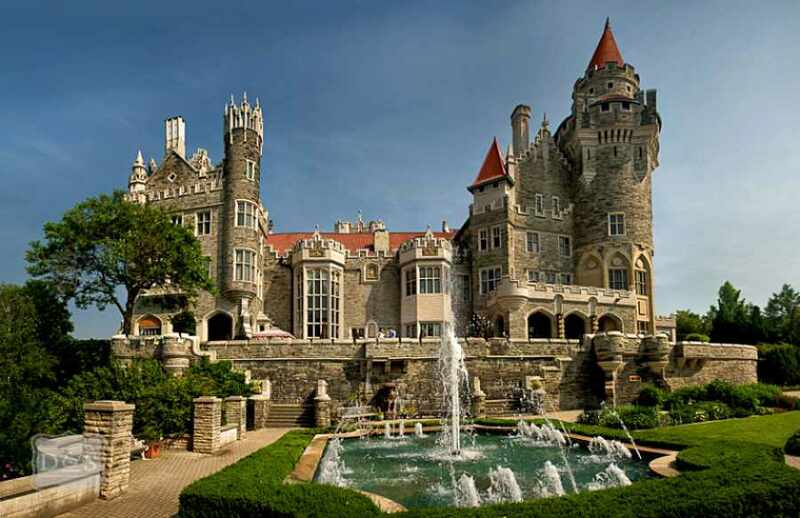 Casa Loma is a house and garden in a Gothic Revival style located in Toronto, Ontario, Canada. It was built for a capitalist Sir Henry Mill Pellatt as a house. It is now a landmark and museum. It was contrived from 1911 to 1914 by an architect known as E.J Lennox. It is made at an altitude of 460 ft. (140 m). It was established as a museum in 1937. The cost of the house is $5 million. It has a total of 7 floors with an area of 64,700 sq ft. The museum is a historic architecture and a beautiful tourist attraction. The Art Gallery of Ontario is an art museum located in Toronto, Ontario, Canada. It is considered as one of the largest art galleries in North America with an area of 480,000 sq feet (45,000 sq meters). It was established in 1900. It has the notable collection of largest Canadian Art. The museum also has café, restaurants, bars and many more things. Overall it is a must visit the place with attractive and historic art. It is also known as Centreville theme park and is a child amusement park. It was established in 1959 as a farm and later on converted in a theme park in 1967 by Bill Beasly Sr., father of the present-day owner of William Beasly Enterprises. It is open all the time in May through September. The park has a theme of 1900 century village and has rides such as miniature roller coaster, a Ferris wheel, a haunted barrel works and many more. It is a great attraction for kids and an enjoyable place to visit. The Beaches is named so because of four beaches located in Lake Ontario. The Beaches is situated in the east of downtown, Toronto. The beautiful place is a massive tourist attraction and also the locals love the beaches. It also has ice cream parlors, bakeries, peaceful board walking and beautiful beaches. It is a perfect holiday tour. The Ontario Science Centre as the name says is situated in Toronto, Ontario province. It is located near Don Valley Parkway. It was established on 26 September 1969 by the famous architect Raymond Moriyama. It has estimated 1.5 Millions of visitors. Many exhibitions are also conducted in Ontario Science Centre. If you are a science lover this place is a must visit. Lake Ontario is considered as one of the five greatest lakes in North America. The word Ontario means ‘Lake of shining waters’ in the language Huron. It is situated in the province of Ontario, Toronto. It is spread in the total area of 19,000 km2 (7,340 sq. ft.) and is 74 m (243 ft) above the sea level. It is a beautiful place to visit with peaceful beaches. High Park is located in Downtown Toronto in the North of Humber Bay was established in 1876 as a natural park and a zoo. It is spread in an area of 398 acres. It has many facilities like sporting, educational, playgrounds, cultural and a zoo. Around one-third of the park is in natural condition. It is the highest park inside the city of Toronto which is in the limits of the city only. It has museum also which was actually a house of John George Howard who was the real landowner of High Park. After his death, the house was taken over by state and converted into a museum. Sophisticated French haute cuisine in an upscale space with skyline views & a more casual bistro. 1940s-style diner with the jazz-inspired decor, offering breakfast & classic comfort-food dishes. A stylish, swanky space on the 54th floor, with inventive Canadian cuisine & exceptional views. French tasting menu served in stylish, serene surrounds atop a Victorian building. © 2019 Thripzel.Com · All Rights Reserved.